Velula started playing around 2003. Their songs are now ready to explode in your brain and fullfill your ears !!!. MUSIC !!! Our lyrics are the voice of animals and plants having trouble to survive in this planet, because of humans. This album has seven songs (+ two bonus tracks) where emotions of man kind in its animal and spiritual side are expressed. VELULA might be a dangerous musical experiment (or not ;). Take it or leave it. Take it or leave it. Take it or leave it .............. Welcome. You are more than welcome to stay and taste =). Alucigenia (music & films) is our Independent Label. Every vision, every dream, every small insect and wild animal, emotions and the fact of being alive (and death), colors, darkness, the universe, feelings... .
petra luna Thanks for inviting me to take a listen to your great work! Best of luck to you!! * Your song 'Velula - Magico Misterio Medieval' has just been added to I Like Strange. ~M~ station! * Your song 'Velula - Caminamos por Saturno' has just been added to I Like Strange. ~M~ station! * Your song 'Velula - Ocaso de un Parpadeo' has just been added to thebernreuter - all request station! * Your song 'Velula - Ocaso de un Parpadeo' has just been added to Second Nature station! VELULA - WELCOME TO VELULA - Second Nature Station RADIO - We're glad to be in contact with you. VELULA Haz llegado a VELULA. Bienvenido !!! * Your song 'Velula - Ocaso de un Parpadeo' has just been added to Voices -Outside The Box station! * Your song 'Velula - Ocaso de un Parpadeo' has just been added to 2009 World Songs Sorted! station! * Your song 'Velula - Lejos de Mirar el Tiempo' has just been added to Alucigenia Music station! * Your song 'Velula - Lejos de Mirar el Tiempo' has just been added to ECLIPSE RADIO STATION station! * Your song 'Velula - Lejos de Mirar el Tiempo' has just been added to BOLIVIA METAL RADIO station! VELULA Support VELULA today. We have selected 3 songs for the 2009 IAC Entries. Ojos de la Transparencia, Ocaso de un Papadeo, Lejos de Mirar el Tiempo. Vote for these songs. * Your song 'Velula - Lejos de Mirar el Tiempo' has just been added to Oh no! Not another new Larree station! station! * Your song 'Velula - Ojos de la Transparencia' has just been added to SMASH station! * Your song 'Velula - Ojos de la Transparencia' has just been added to Radio Jones station! * Your song 'Velula - Ocaso de un Parpadeo' has just been added to BOLIVIA METAL RADIO station! * Your song 'Velula - Ojos de la Transparencia' has just been added to Please Listen station! * Your song 'Velula - Ocaso de un Parpadeo' has just been added to Please Listen station! * Your song 'Velula - Ojos de la Transparencia' has just been added to Tax & Regulate Cannabis 2010 station! * Your song 'Velula - Caminamos por Saturno' has just been added to Tax & Regulate Cannabis 2010 station! * Your song 'Velula - Ojos de la Transparencia' has just been added to De Clock is Ticking station! * Your song 'Velula - Visita al Planeta Seta (amanita muscaria)' has just been added to What planet is this music from? station! 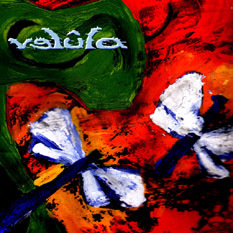 VELULA Now you can see the artwork for every song in our blog. Enjoy your eyes ... and have a great day! * Your song 'Velula - Lejos de Mirar el Tiempo' has just been added to WATERS EDGE station! VELULA In life I remember few things of my life. In life I remember few things of my dreams. VELULA music travel dream jump run speed sleep and fly to the universe! * Your song 'Velula - Ojos de la Transparencia' has just been added to Fountain of Youth station! * Your song 'Velula - Magico Misterio Medieval' has just been added to Doom/Stoner Favorites station! IAC Your song 'Velula - Caminamos por Saturno' has just been added to Fountain of Youth station! * Your song 'Velula - Ojos de la Transparencia' has just been added to Real Metal station! * Your song 'Velula - Magico Misterio Medieval' has just been added to Real Metal station! IMP Your song 'Velula - Magico Misterio Medieval' has just been added to Neem: India's tree of life station! IMP Your song 'Velula - Magico Misterio Medieval' has just been added to Blisskrieg station! Support us with your vote today. We're in the 3rd round with two selected songs! "Ocaso de un Parpadeo (nueve pedazos de ti)" and "Ojos de la Transparencia".